Today Rebecca Raisin has stopped by to talk about writing her wonderful novella The Bookshop on the Corner and falling in love with her characters along the way. Writing The Bookshop on the Corner was so much fun for me. I’m a voracious reader as well as a writer, so being able to talk about all those lovely bookish obsessions we all have was pure indulgence! I immediately pictured the bookshop as one of those dusty old places, where books are stacked haphazardly all over the place, yet, Sarah the owner knows exactly where everything is. Kind of like my shelves at home, there’s no order, but I can find a book by memory, because there’s some kind of pull they have on me, that I just know. It was a gift of mine to be able to garner what book a person was looking for just by their dress, and their mannerisms, but this guy had me stumped. All I could imagine was that little man crease thing, right where his jeans hung. Note to self: stop dropping gaze to his nether regions. I was doing it again. The mute, bamboozled, mouth-open thing. “I’d say you’re a thriller man.” There. Done. He made a huge show of looking for the word thriller on his clothing; he pulled his tee shirt out, and, oh, good God…his six-pack rippled, exactly as it did on the hero of a Harlequin cover. I must admit I fell in love with Ridge as I was writing. Is that weird? To love your own fictional character? Though, like any man, Ridge isn’t perfect. He’s certainly not used to people saying no to him. And Sarah, well, she’s not about to change for anyone, least of all a reporter from a big city. I hope you enjoy The Bookshop on the Corner, and I’d love to hear from you if you read it! What would you choose – your fictional friends, who’ve always been there for you, and always will, or risk living in the real world even though it might break your heart? From the brilliant author of The Gingerbread Café trilogy don't miss this linked novella to get a sneak-peek at how Damon and Lil are getting on before the next book in the series - Coming October 2014! 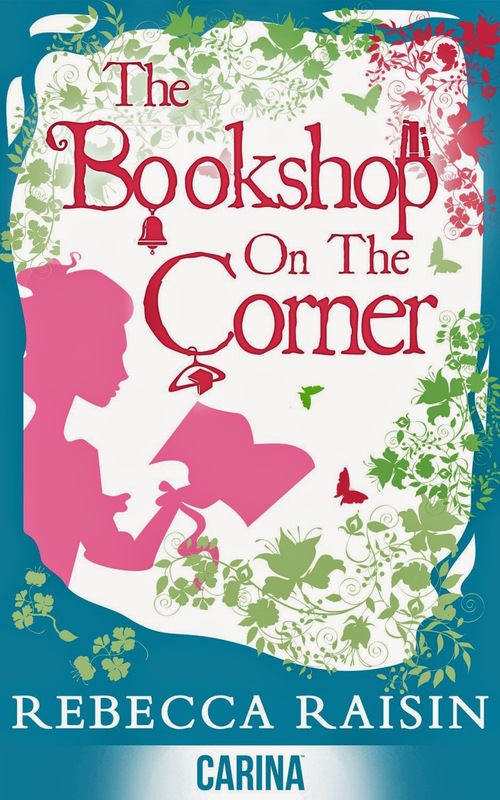 The Bookshop on the Corner by Rebecca Raisin was released by Carina on June 17, 2014. AND You can find our review of The Bookshop on the Corner right here!